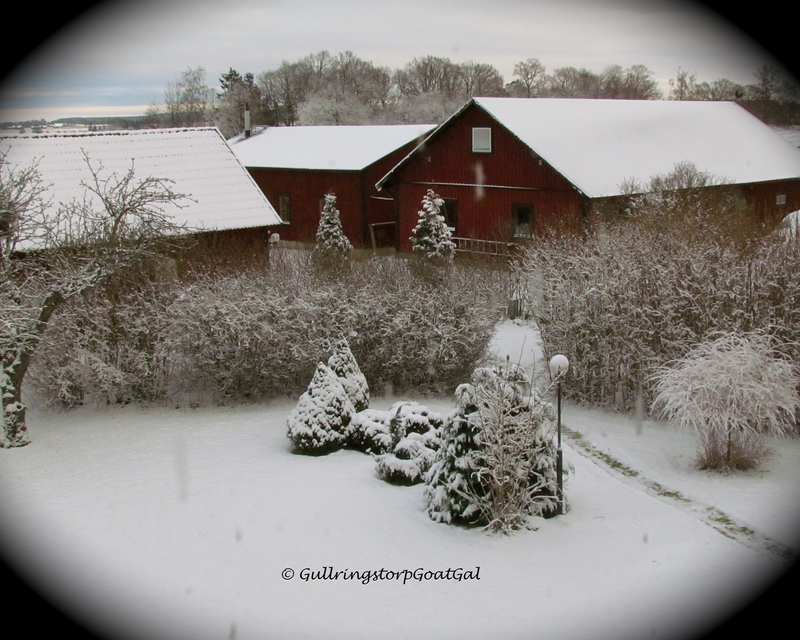 We have been experiencing Global Warming effects right here at Gullringstorp. After our period of melted snow and then no snow at all, we got a light dusting of snow that reminded me of powdered sugar. It was really pretty for one day and then it all melted. Our temperatures have been so unstable. With the warmer temperatures, not only did all the dusting melt, but flies woke up and dizzily flew into walls. How are Phillip and Winston doing in the boys’ box? Winston thinks the hay is yummy ! Phillip and Winston are doing really well in their new home. No more crying for mommy and they have learned which bucks to avoid and where to be able to enjoy the hay in peace. Even though they are doing so well, I do let them out twice a day while I tend to all the boxes. They get a chance to have their tiny bit of grain until they are weaned of it and a chance to play and wrestle with each other. 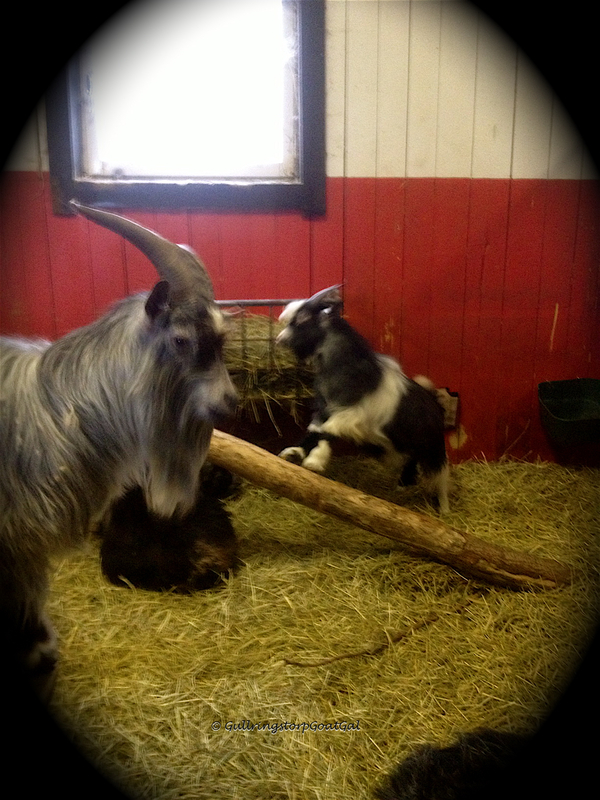 My tiniest goats, our Pygmies, live in the front box. 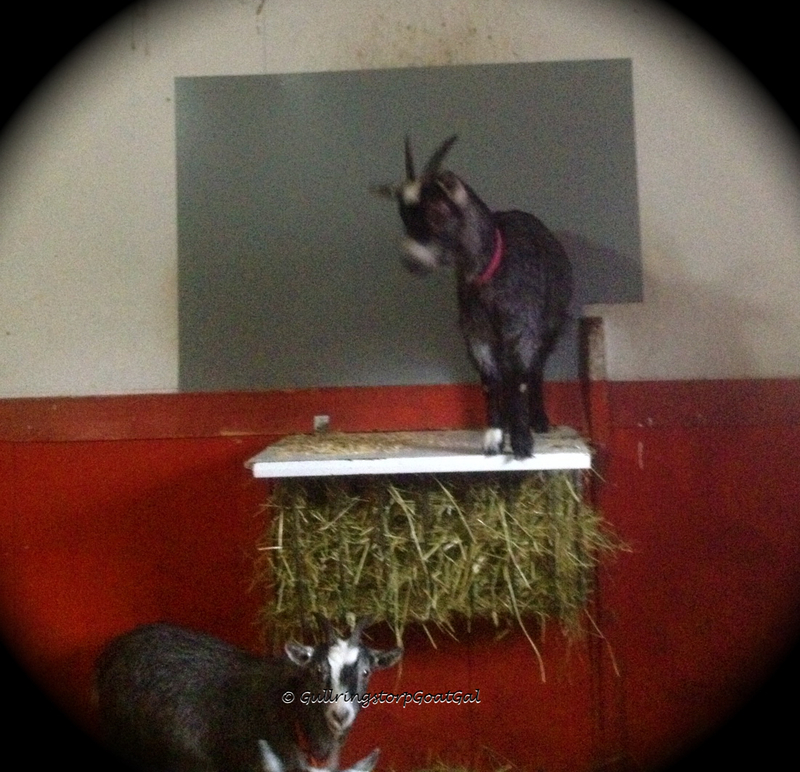 As we have learned, Pygmy goats love to be up high. Leif put a lid on the hay rack and the girls can climb on top. No problem there, but someone decided to eat the wall and soon they were to the insulation. I said , ok, time for some stronger coverage. So up went the metal plate for protection. 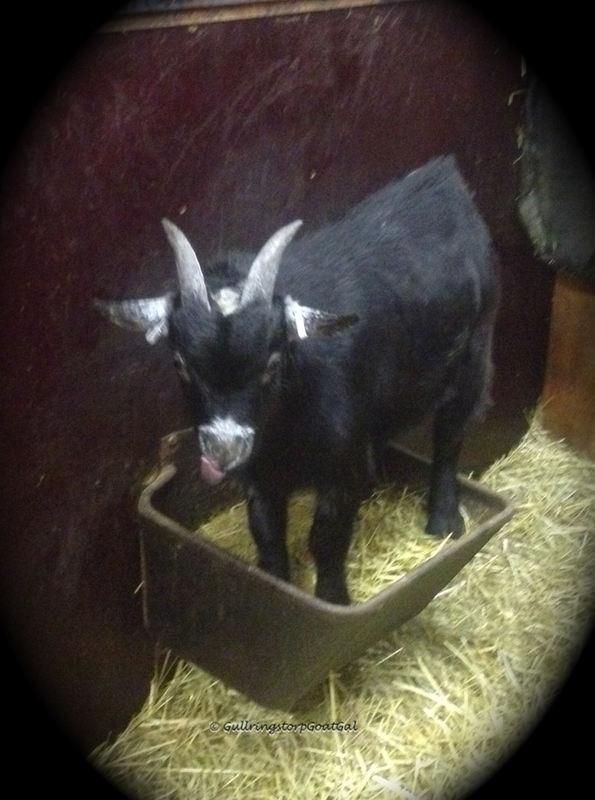 This is Ivy who is our tiniest adult Pygmy goat. She spends a lot of time up there now that her daughter Surprise is more independent. That’s Petunia standing below. 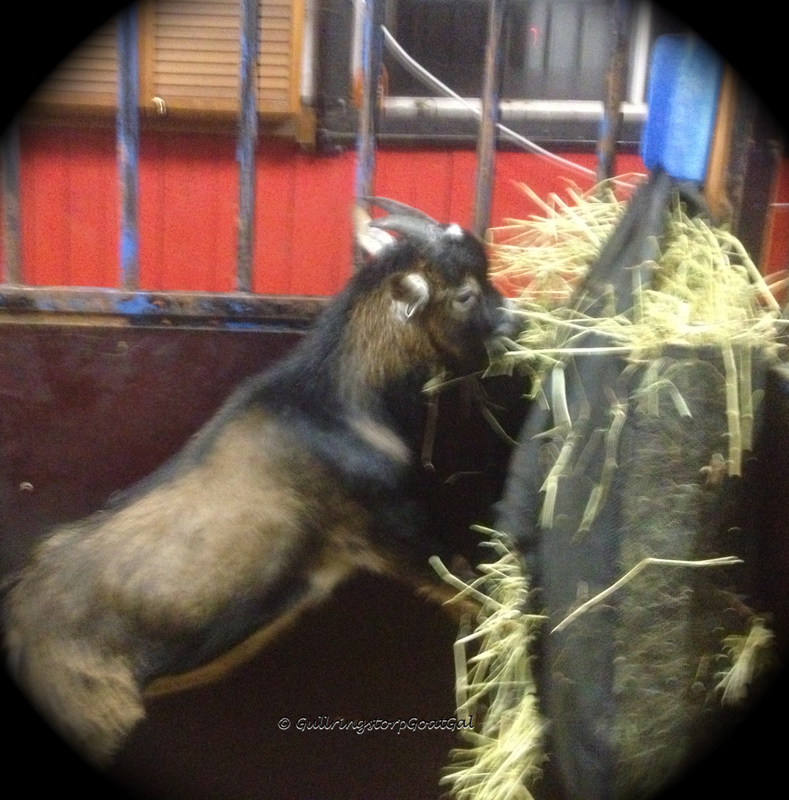 Anyone who has goats knows the challenges of keeping hay in the hay rack. There are always problems with waste. Well we are no different here at Gullringstorp. 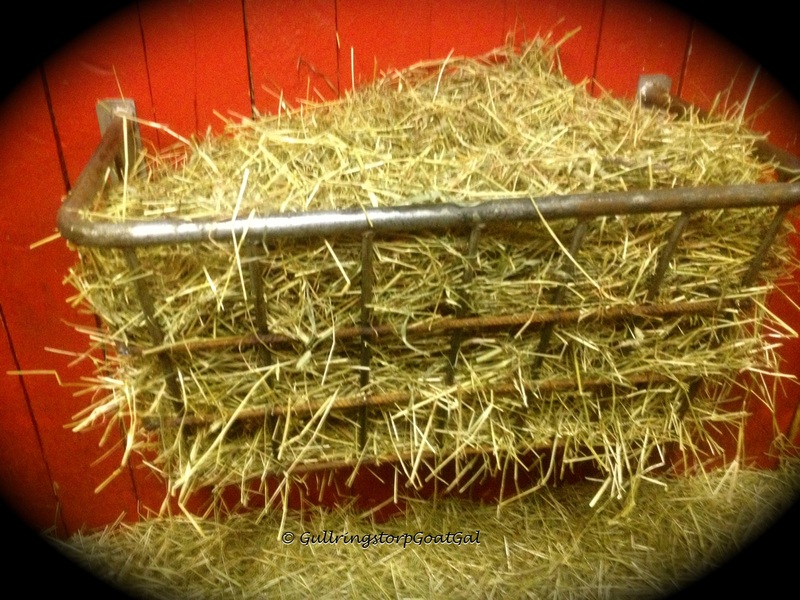 We were loosing hay left and right, especially through the hay racks that were made for horses. 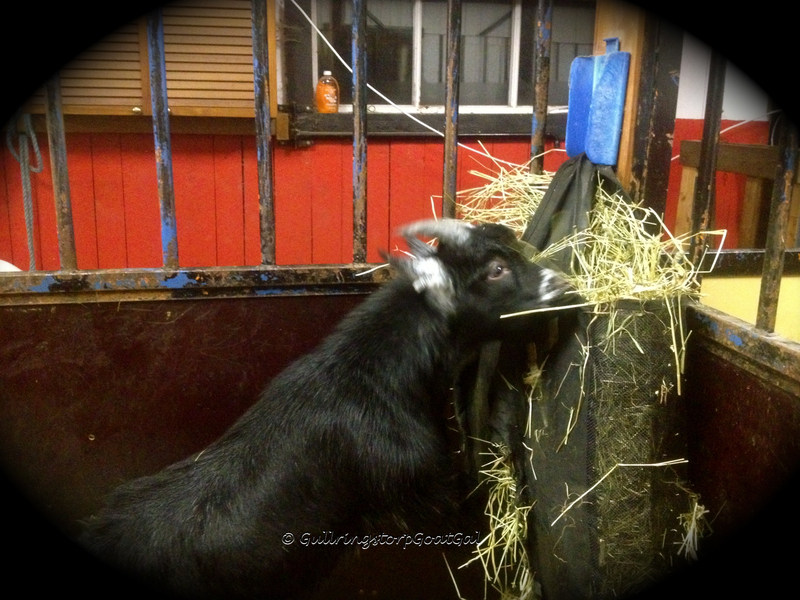 Leif has made racks for the girls and placed hay bags up in many of the boxes. this box, however was our biggest problem. Every modification Leif made was destroyed by the boy’s horns. Finally we took it to our neighbor Bosse, for welding. 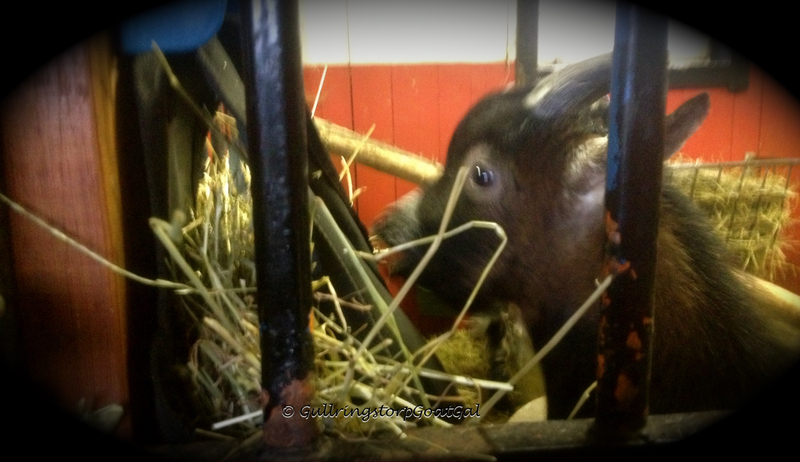 The bars going horizontally help hold the hay bales in and provides a good place for horn scratching. 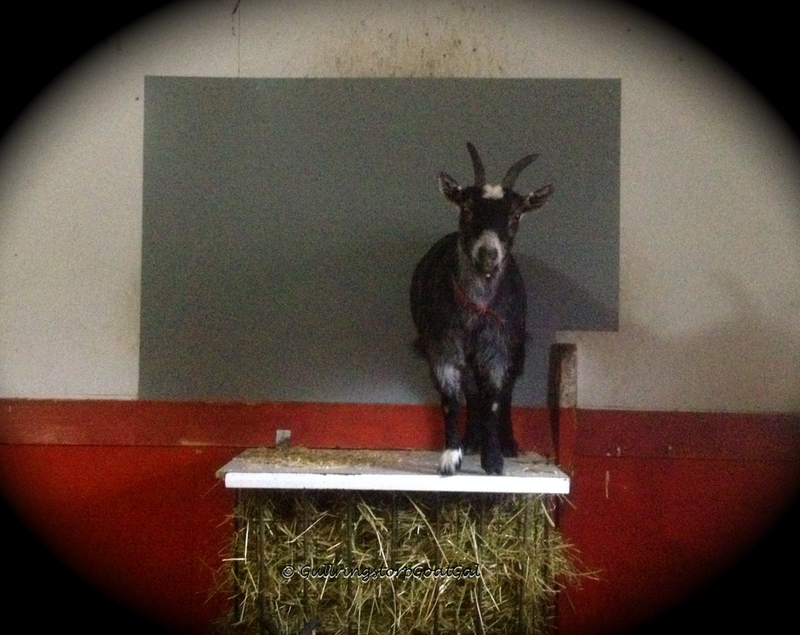 Toby, Nanna’s little boy, really enjoys the new improved hay rack for his horns. Balder is standing nearby on the tabletop. 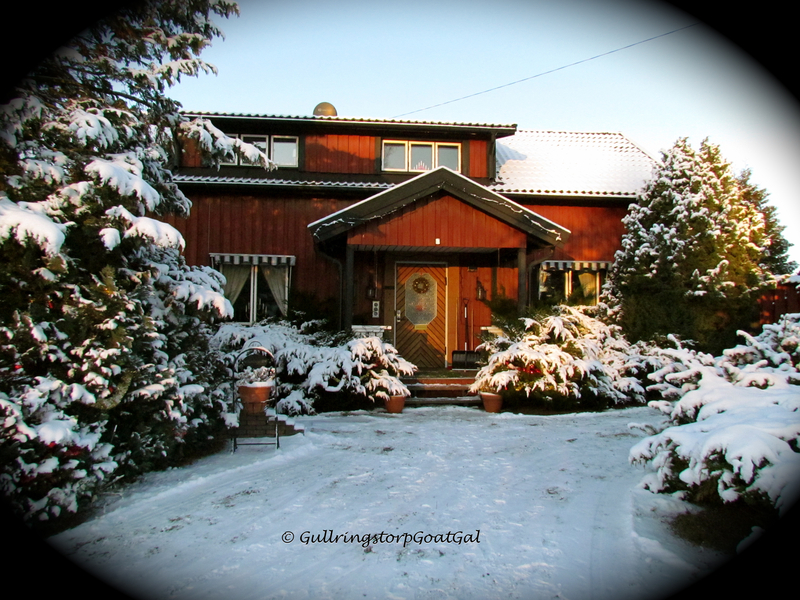 Welcome back for more updates from Gullringstorp. Remember just a few weeks ago, I posted photos of SNOW? 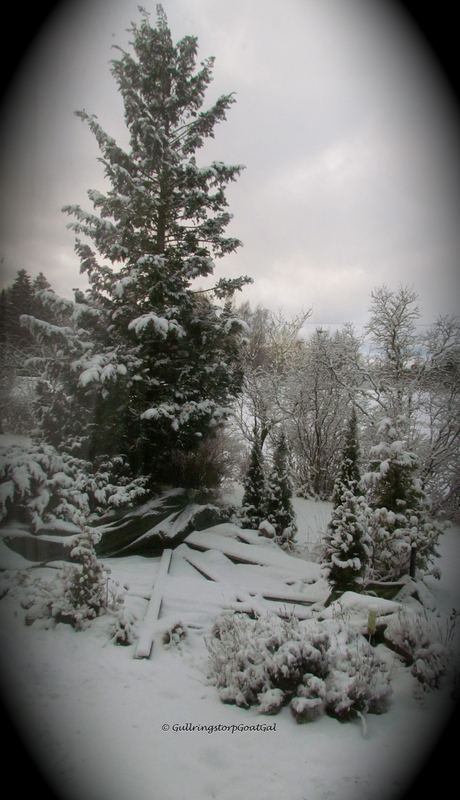 I mean tons of snow.. Well we had a beautiful White Christmas. 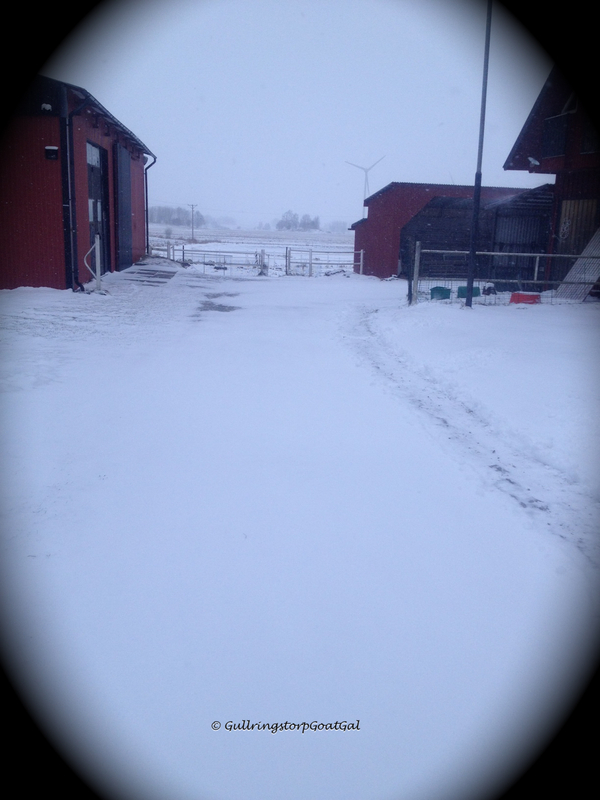 There was so much snow that my husband had to use the tractor to move it off our 2 roads and move it into the goat’s enclosure. Needless to say, with all the wide gates open and all those snow mountains, the goats were unable to enjoy the enclosure. New Year’s Eve we celebrated without snow! 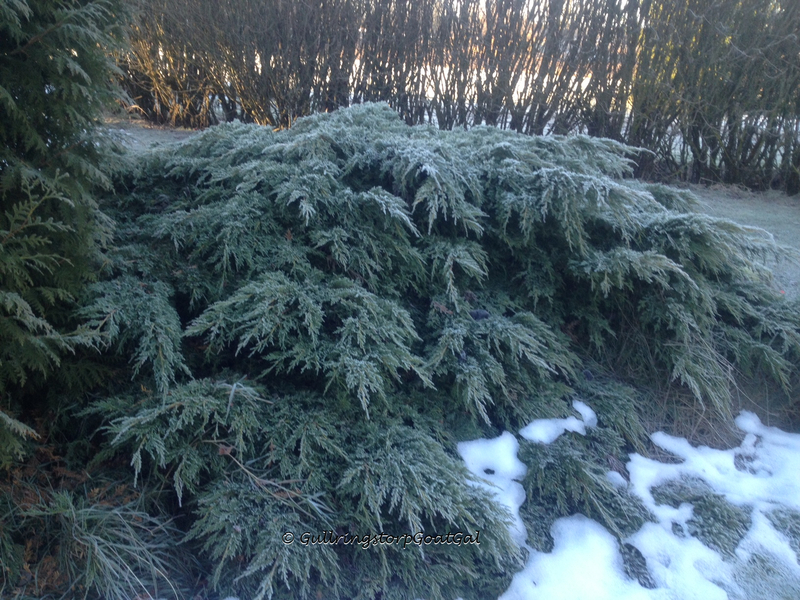 After dropping to minus temperatures, we shot up to plus temperatures. 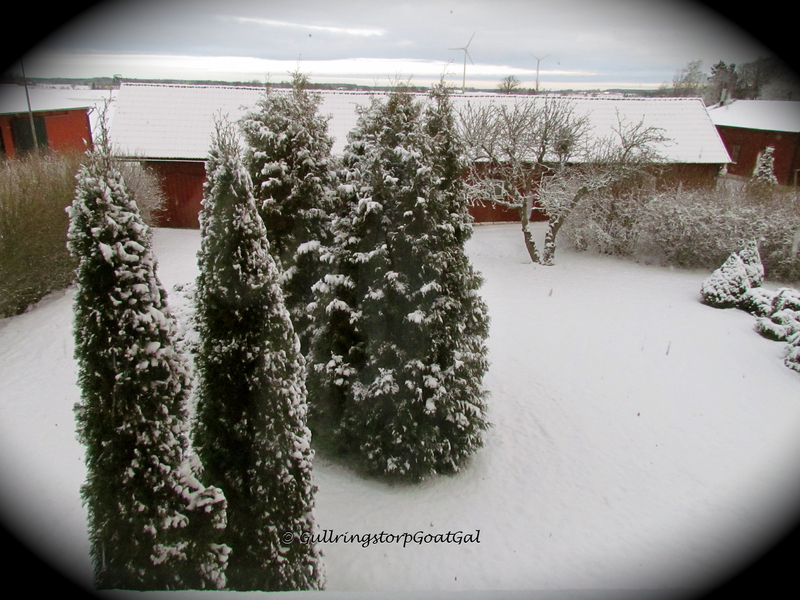 In one day, we lost ALL our snow! 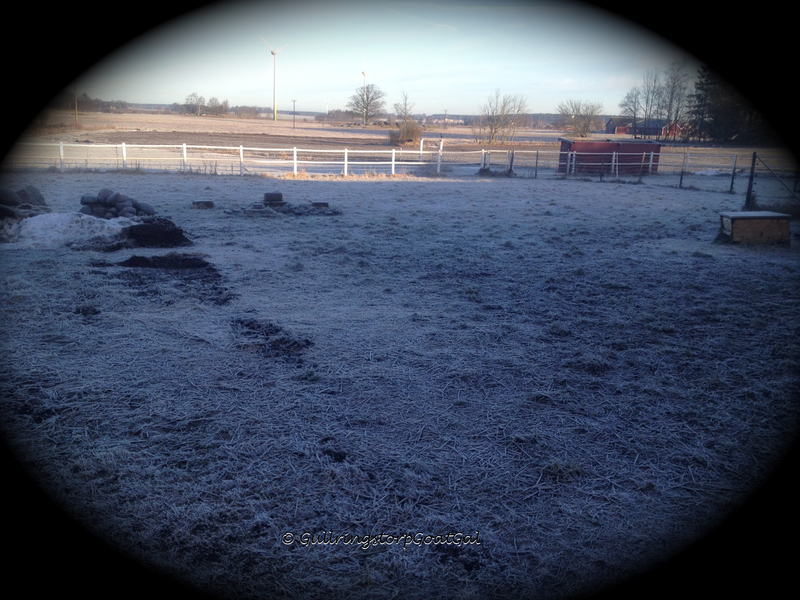 It looked like a waste land with little sad piles of snow scattered around Gullringstorp. 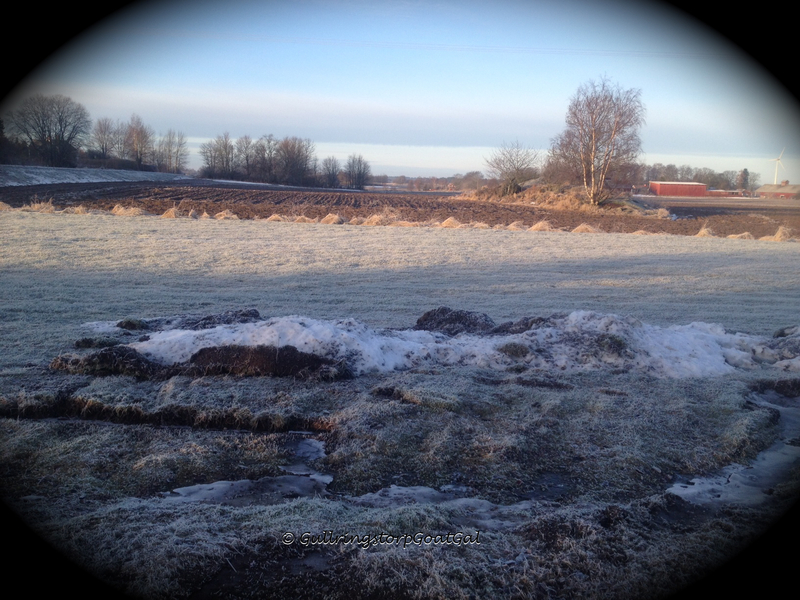 After sadly looking at our land and seeing the grass and gravel, we woke up to this today after a night with minus temperatures. While walking back from the stable last evening, I really enjoyed the crystal clear sky with all its bright stars. I am never unthankful for the beautiful nature I live within. I knew by the clarity of the night that it would be a real COLD night and it was. 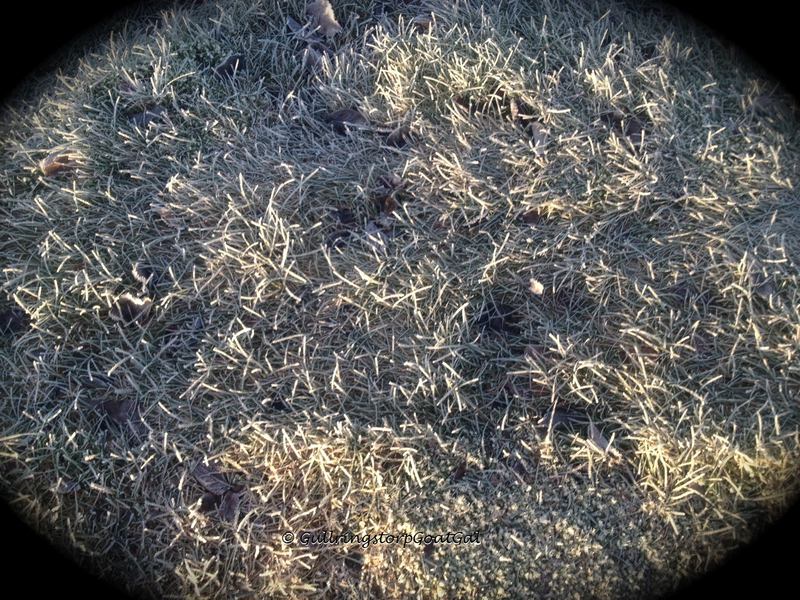 Now we can see some of the damage the tractor did to our lawns. So strange to see our neighbor’s fields brown with no snow. 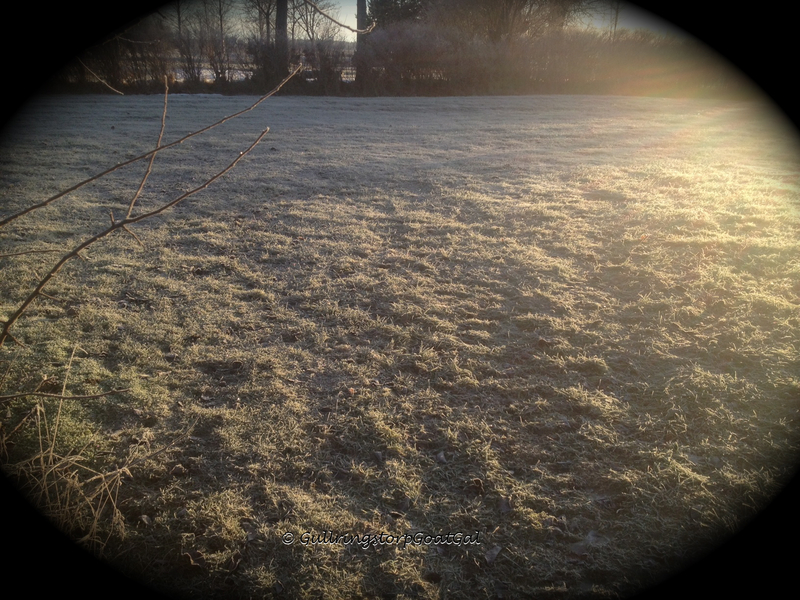 All the mounds of tractor moved snow mounds have melted away; but just look at that frost. Too bad the goats couldn’t go out yet again today. Not so sure we should be having temperatures that yo-yo up and down within a day or a couple of hours. Just doesn’t seem right. 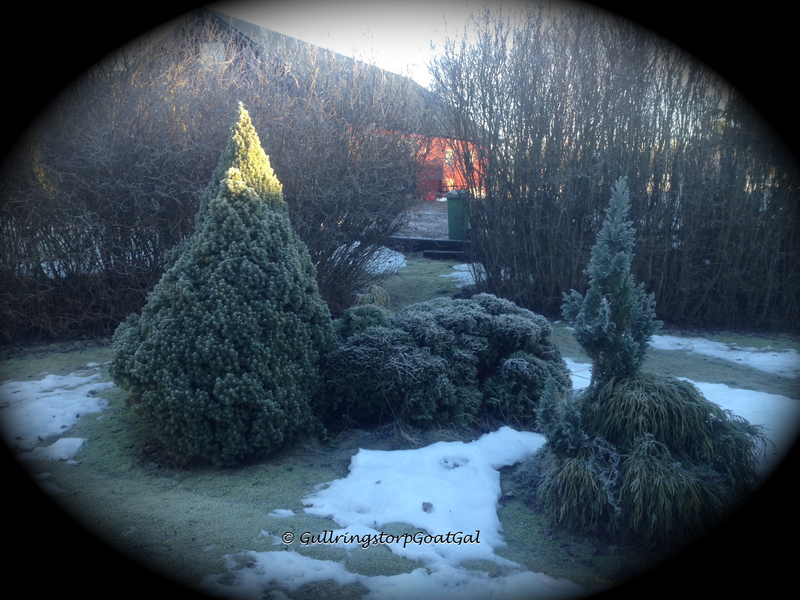 We have had a pretty unusually warm winter here at Gullringstorp. It has looked very much like fall since October. 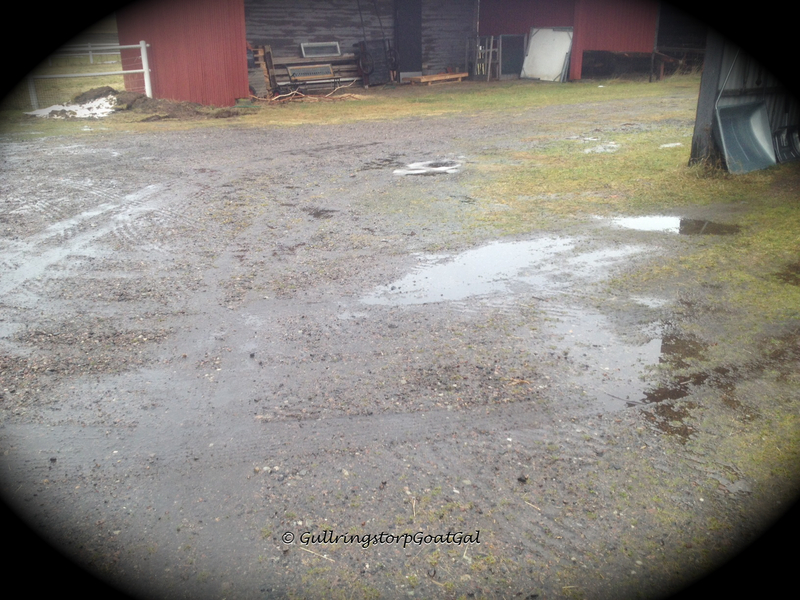 There has been a lot of rain and wind and even a few snow flurries that disappeared the very next day and sometimes the same day. 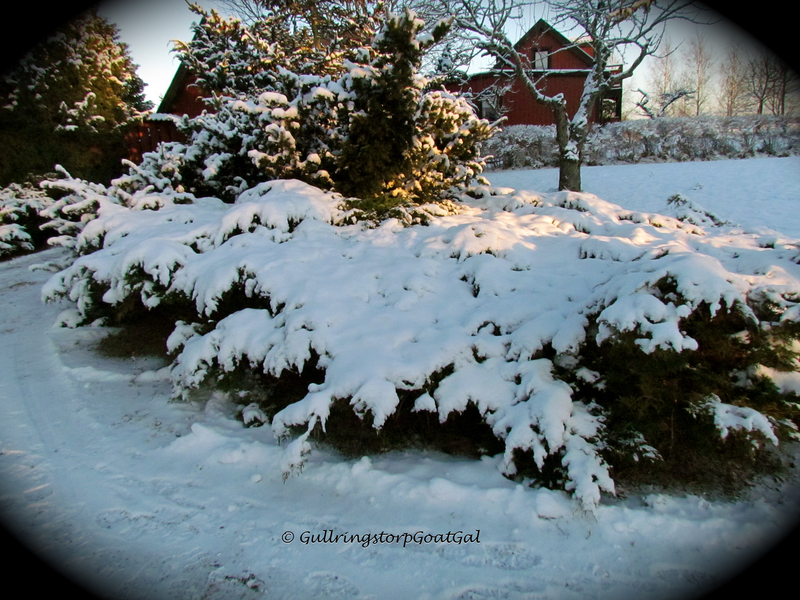 There was no snow here at Gullringstorp for Christmas which was a real disappointment. 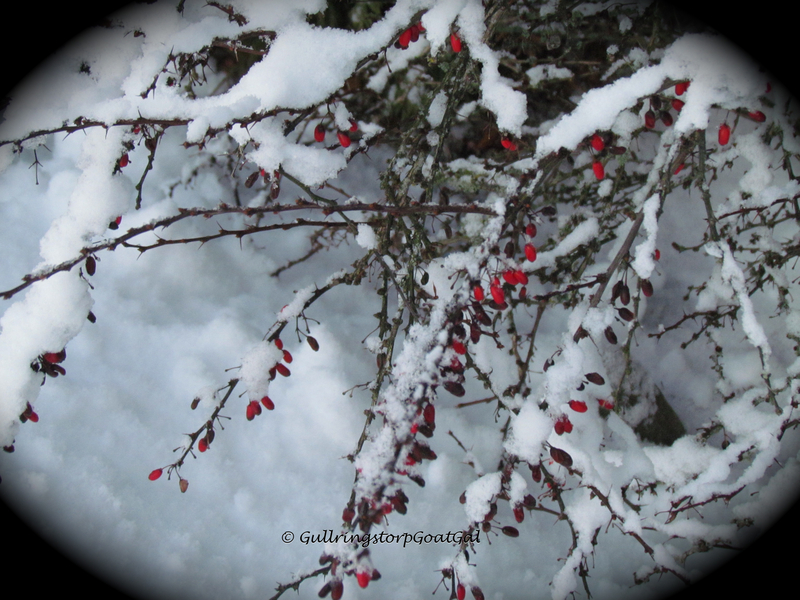 Here we are January 8th and we have had a significant snow fall all day yesterday . 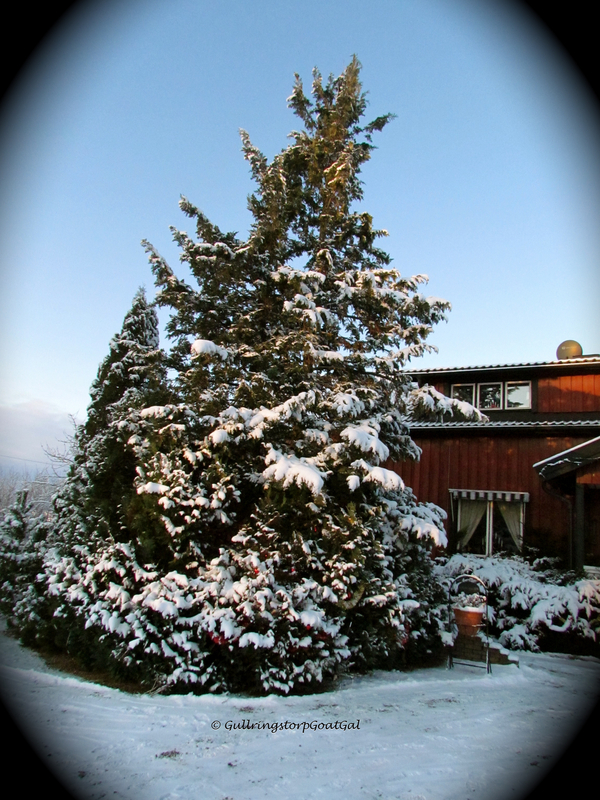 The temperature has dropped to -4 c which means this snowfall will stay for a few days. I am happy for that! 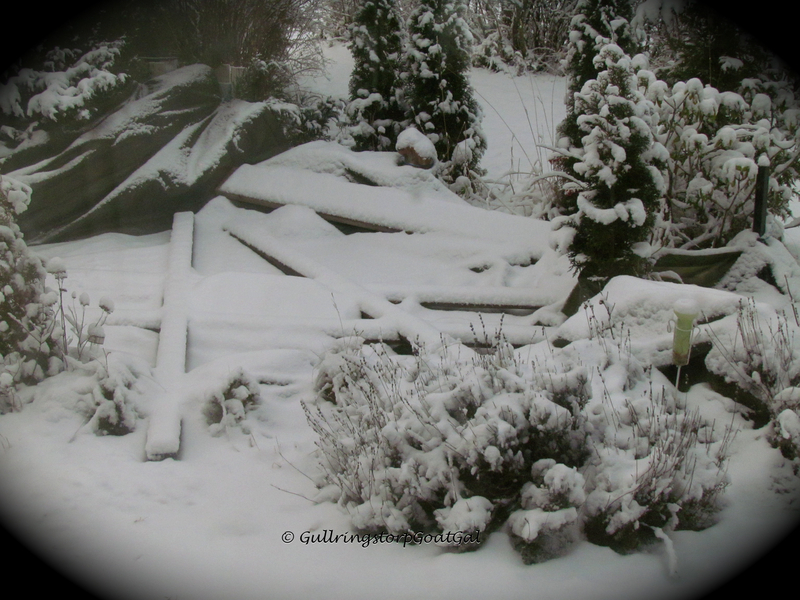 Another view of the backyard with a newly shoveled path. Thanks sweetheart! Our koi pond has been covered and protected from the ice and snow of winter for a couple of months. My daughter says we have popsicle fish under that tarp! That's a funny picture, popsicle fish! 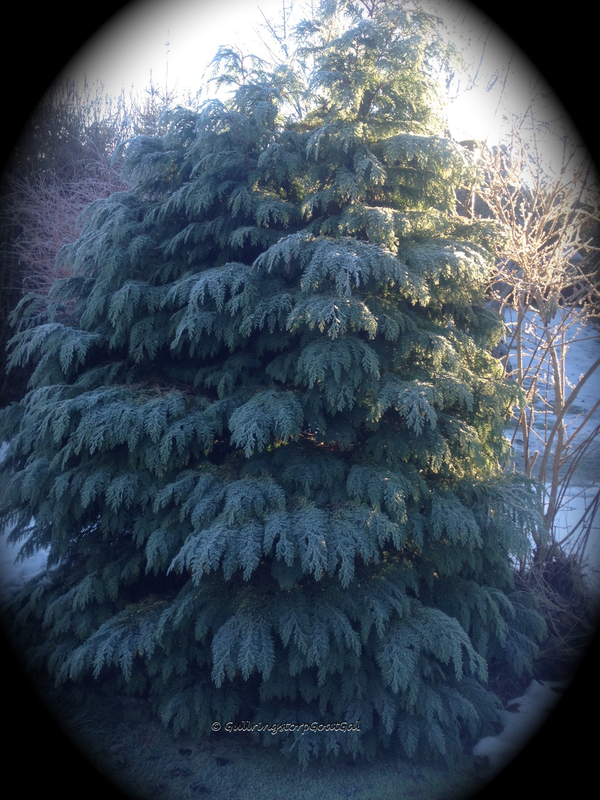 Looks like a huge Christmas tree, doesn't it? 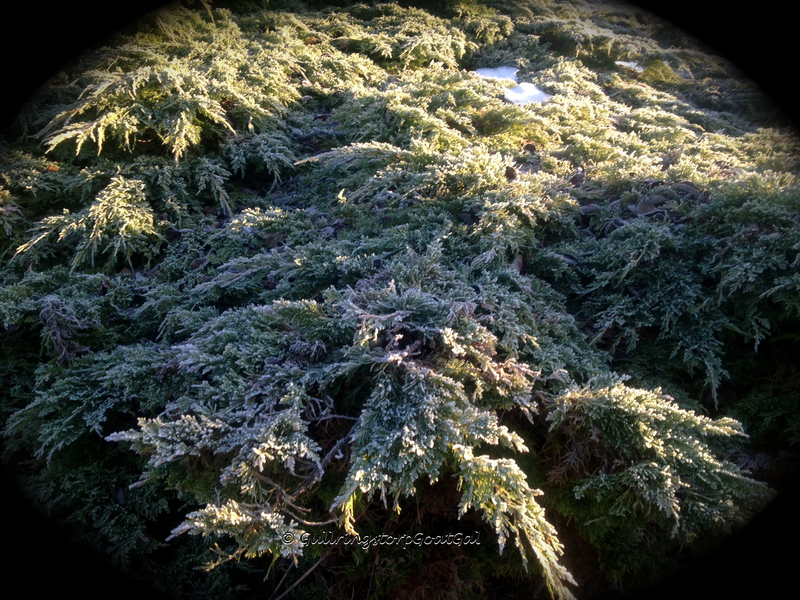 This bush looks like it was carefully covered with vanilla frosting! 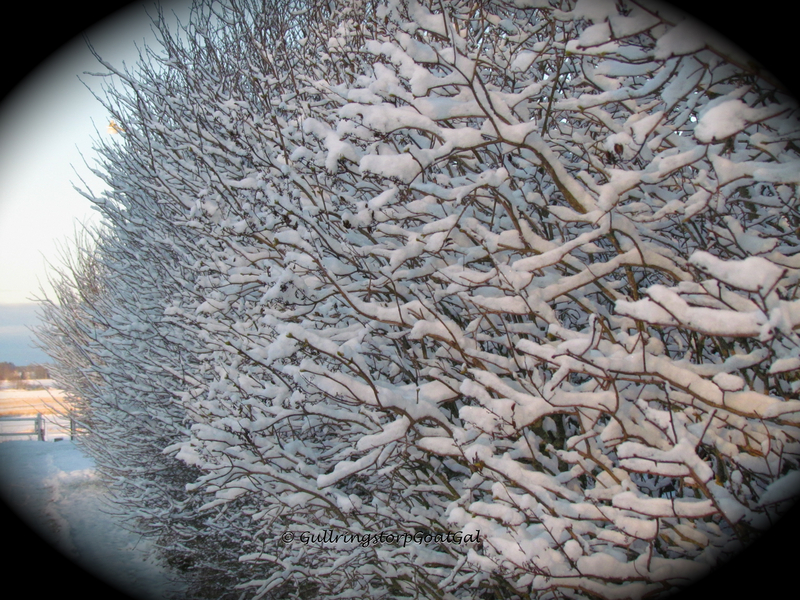 This hedge still has its Christmas decorations, which will remain for a few more days. 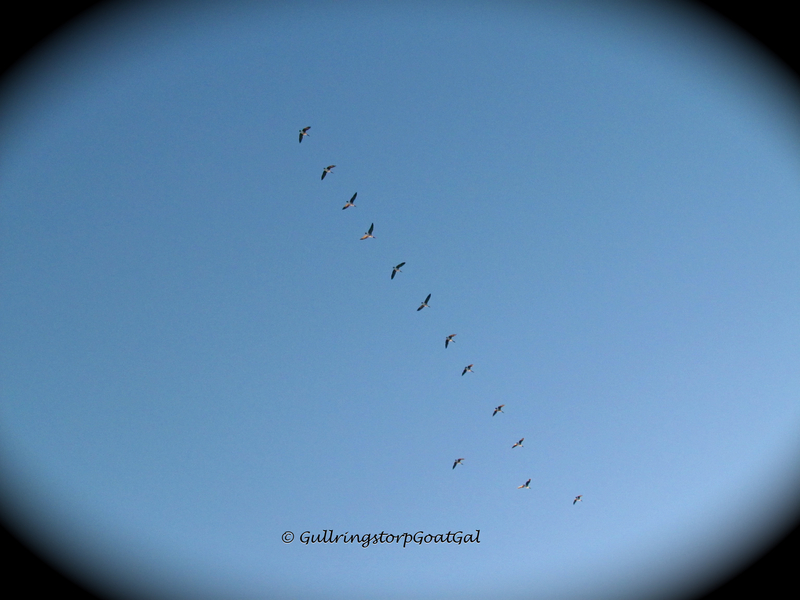 These geese, on the other hand, do seem to mind the cold temperatures and I am sure are heading for warmer temperatures. 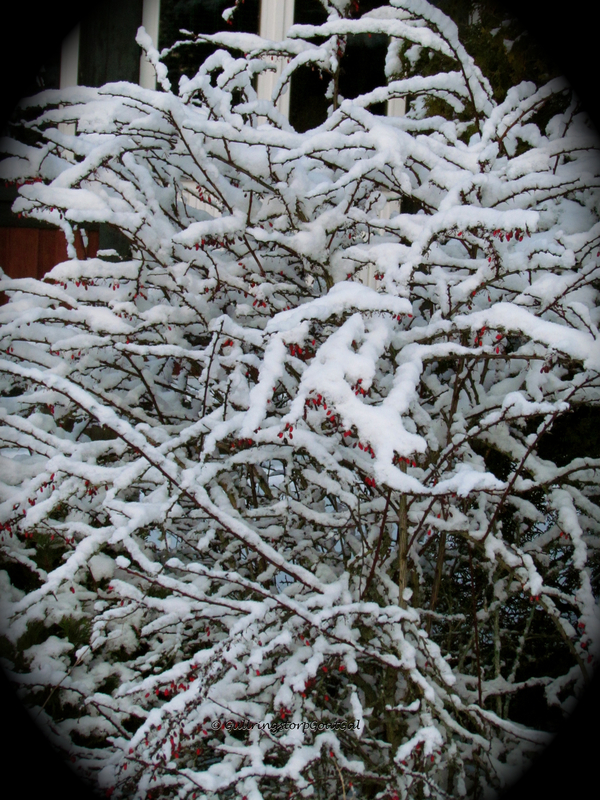 I hope for more snow! 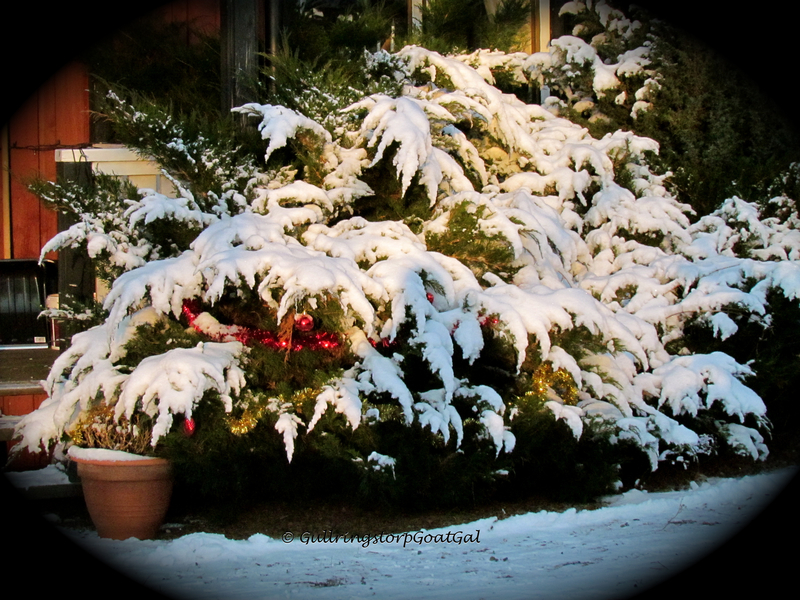 My poor husband who insists on doing all the shoveling, I am sure hope that this is all we get. 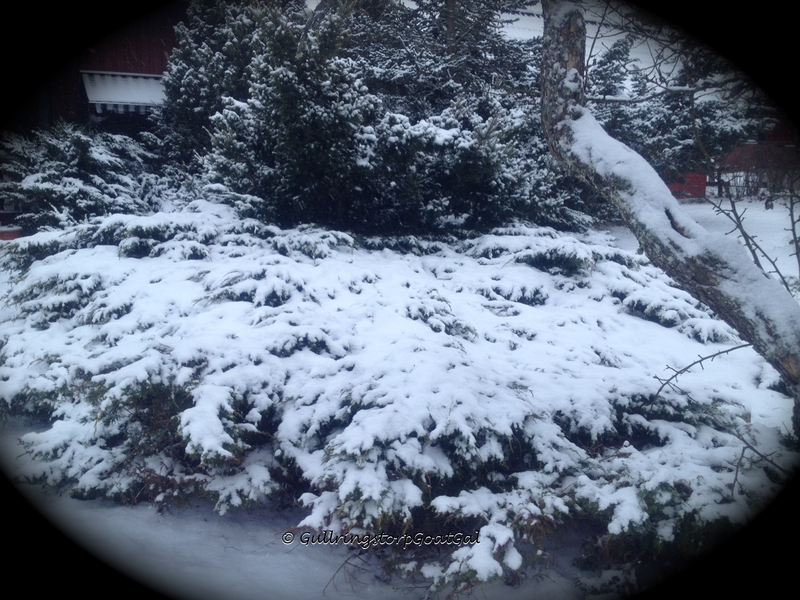 We will see what Mother Nature and Global Warming have in store for us here at Gullringstorp. 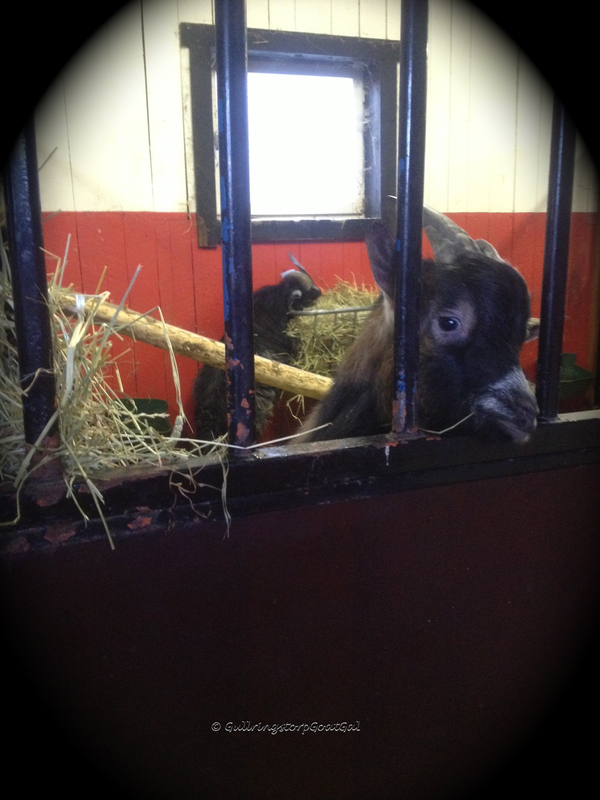 The goats of Gullringstorp are warm and cozy in the stable.